Unlike other fitness centers, we don’t just tell you what we think you need; we sit down with you and work as a team. In our collaboration, we discuss your specific goals, needs, and motivations in depth in order to create a program completely customized to you. From there, we provide everything you need in order to produce the transformation into your best body. This is our most popular training style, where you’ll train alongside 2-8 other people at a time. Semi-Private physical training differs from large group training in that you are provided with an individualized program that you perform while being monitored closely by one of our expert fitness coaches. This group setup gives our coaches the time to devote some individual attention to each participant, but also gives you the opportunity to learn how to complete workouts on your own while still having some supervision and guidance. Create your own semi-private group by encouraging friends, family and coworkers to sign up with you! We offer private training for those who have needs and goals that call for a more specialized program. This type of training gives us the opportunity to customize your program specifically working on all aspects of your health. Furthermore, we have more time to coach through the fallacies on “dieting” and help give you a great understanding on how to balance your meals. In addition, we make sure that your resistance and aerobic training is conducted correctly and at the appropriate level of intensity. Private training allows us to help you break through barriers and continue to get your life back to achieve your ultimate fitness success goals. Are you ready to get ENSHAPE? 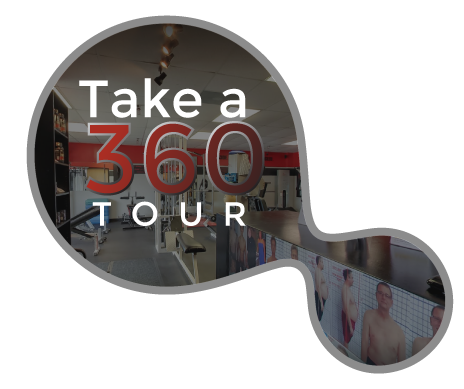 Book your FREE consultation today to start your transformation! Whether you choose semi-private or private personal training, one thing is certain- at Enshape, your body will be challenged in ways you never thought possible! You’ll see and feel your body transforming as you perform exercises that improve your strength, cardiovascular health, and overall endurance. Our coaches will motivate you while providing guidance to keep your workouts safe, efficient, and effective. We take your goals and your lifestyle into account in order to create a customized, easy-to-follow nutritional plan that will complement your physical training to get the results you want. You will also have access to our online nutritional program that teaches you simple daily habits that will help you create healthy behaviors. Get the most out of your training by learning how to fuel your body properly. It’s not a diet- it’s a lifestyle! With our programs, you will sit down with a fitness trainer once a month to review your progress and create specific action steps to keep you moving forward. These sessions will keep you accountable for your goals. One of the biggest reasons people fall off their fitness journey is a lack of accountability. We won’t let that happen to you!